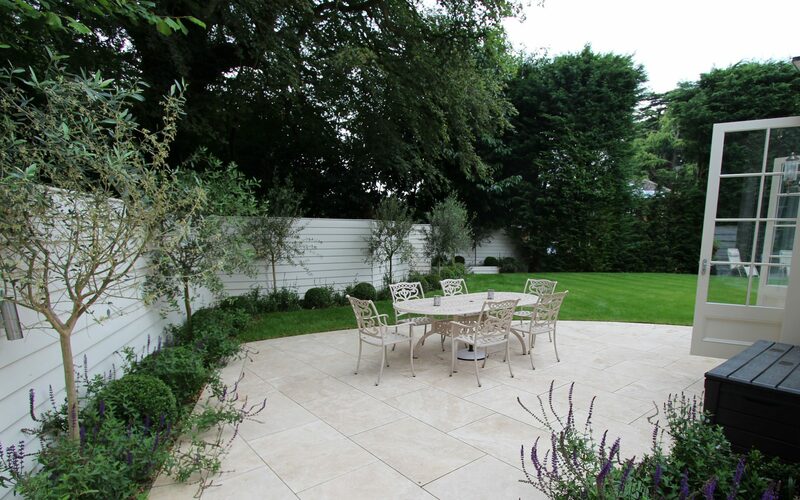 This contemporary travertine courtyard was created for our American clients in the style of ‘New England’. A well-designed outdoor entertaining space, the courtyard was divided into a champagne reception area, dining area and relaxing lounge area. 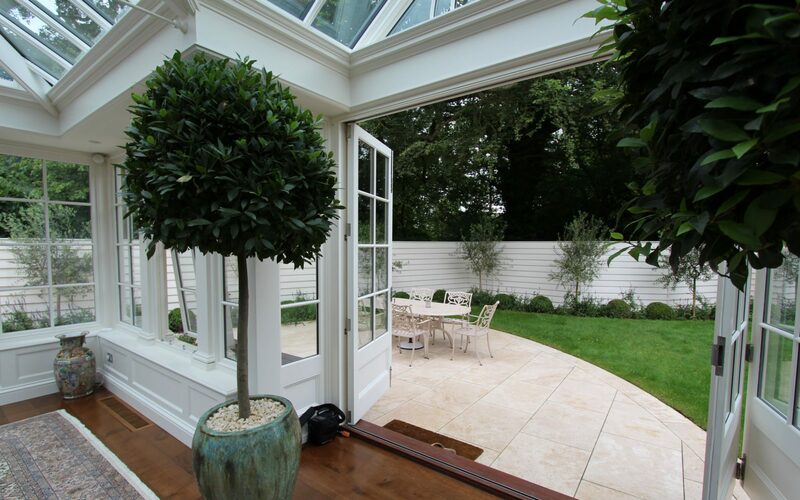 Attention to detail was a prerequisite of this design and is shown right down to colour matching the bespoke built fence with the paint used for the orangery. 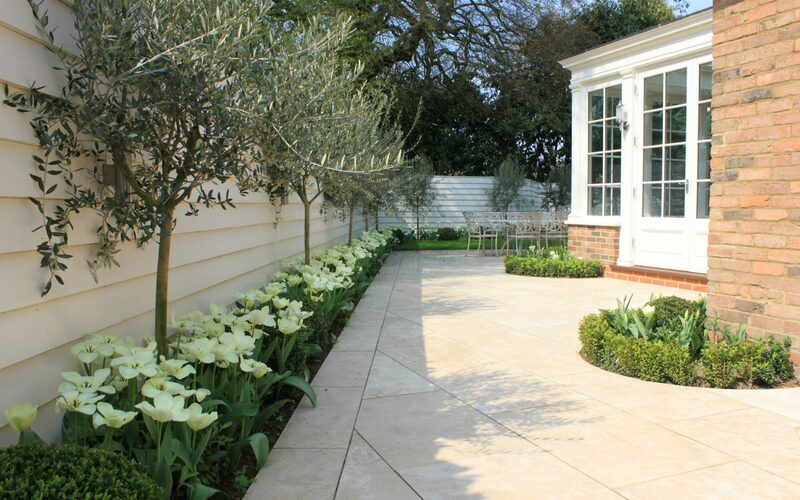 Standard Olives were under-planted with Tulips for Spring, Salvia Caradonna for Summer and White Nerines for late Summer/Autumn. The unique construction of the retaining walls, built using gabion cages, 2.5m higher than the adjacent public footpath, made this project possible. 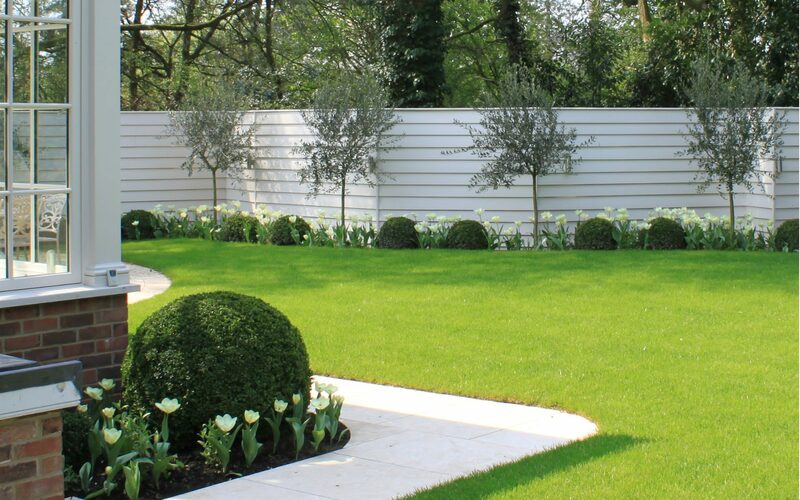 Cube 1994 provided a full landscape design, build and maintenance service. BALI National Award Winner 2014. This garden was selected for demonstrating exemplary standards of professional excellence. 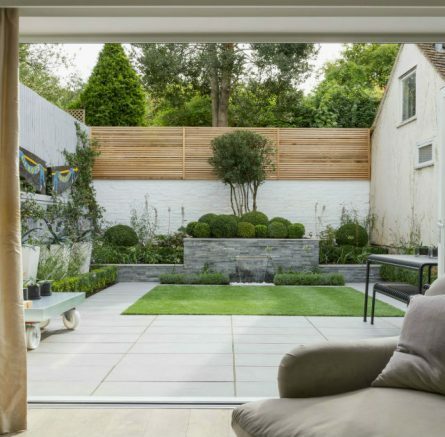 Every construction and design project was visited personally by a BALI judge, and scrutinised individually. The judges then jointly deliberated each decision to ensure consensus that the winners really do represent the very best in landscape construction and design.